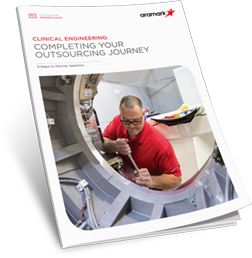 The decision to outsource the management of your clinical engineering operations is one of the most strategic initiatives a healthcare organization can make. However, there is still one more equally important decision—choosing the partner that best aligns with your organization's goals and intentions. Unsure how to get started? Download our guide where we outline the nine steps necessary for selecting the right partner and launching a successful partnership.